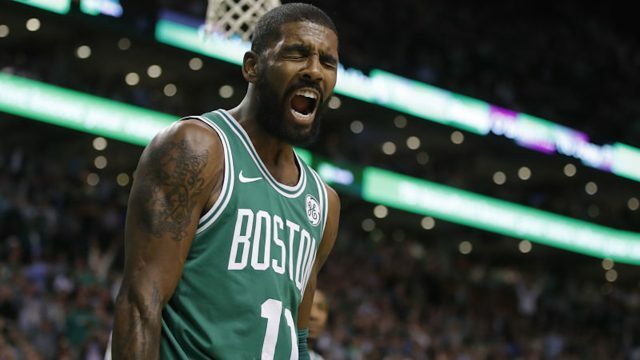 It comes as no surprise for many fans of the Boston Celtics that two of the team’s star players are listed as “OUT” for tonight’s game against the 9-39 Cleveland Cavaliers, with Saturday nights match up with the 33-14 Golden State Warriors looming. 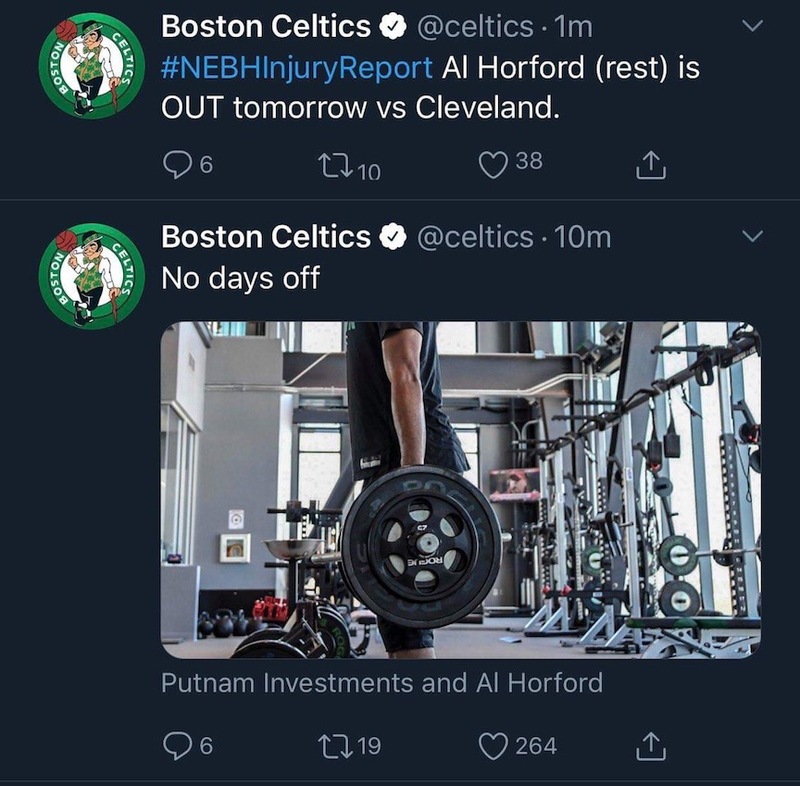 It was announced yesterday that Al Horford would be rested against the Cavaliers, very ironically after the team’s social media page posted a picture of the big man working out in the gym with the caption “No days off”. Horford has been key to the team’s success over the past couple games, with much of the ball movement, rebounding, and defense coming through the veteran. Star point guard Kyrie Irving was listed as “OUT” with flu-like-symptoms, according to the team’s social media page this afternoon. Irving, who came to the Celtics in a blockbuster trade from the Cavaliers, will not be missing much as the playoff team he was a part of is clearly in the past as the Cavaliers are likely to reach 40 losses on the season before reaching double-digit wins. In both players’ absence, fans will likely see backup point guard Terry Rozier step into the starting role, a role he is very familiar with. Rozier was a part of the starting lineup that battled a LeBron James-led Cavaliers squad to seven games in the Eastern Conference Finals last season. Meanwhile, Aron Baynes, who recently returned from injury with a fractured hand, will likely take the starting spot for Horford. Boston will still have the likes of Jayson Tatum, Marcus Smart, and Marcus Morris on the floor, who all have the ability to score the ball at will. With the Golden State game on the horizons, it would not be a shock if head coach Brad Stevens limits the minutes for the starters and see a large rotation tonight against the underperforming Cavaliers. Tonight’s game tips off at 7:30 p.m. at the TD Garden with coverage from NBC Sports Boston.